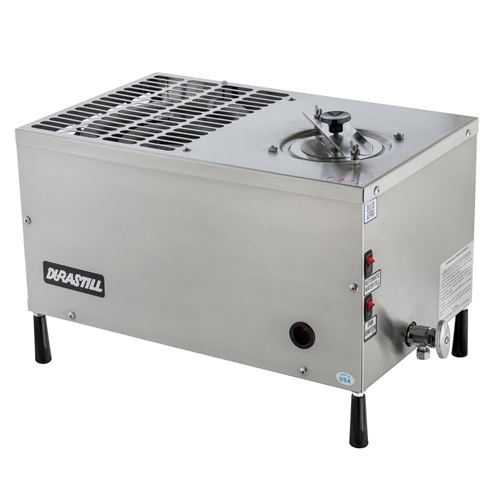 Durastill 46C, 12 Gallons per Day, Automatic Water Distiller Machine. Connects easily to any source water line to automatically fill as necessary. Does not include reserve tank. Distilled water can be collected a container of your choice, or a reserve tank can be added to the unit at a later time. Note that without a Durastill automatic reserve tank, the unit must be shut off manually when connected to an incoming water line. Made in USA.